Add your own photos, birth weight & date of birth to create a Personalised Baby Boy Photo Print. 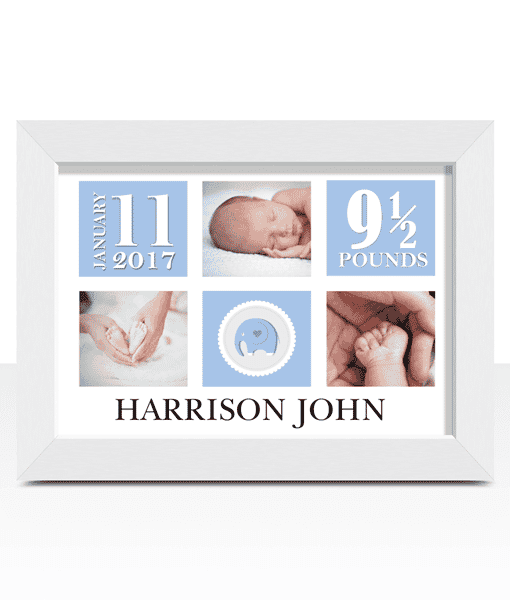 Makes a lovely gift to celebrate the arrival of a newborn baby boy. 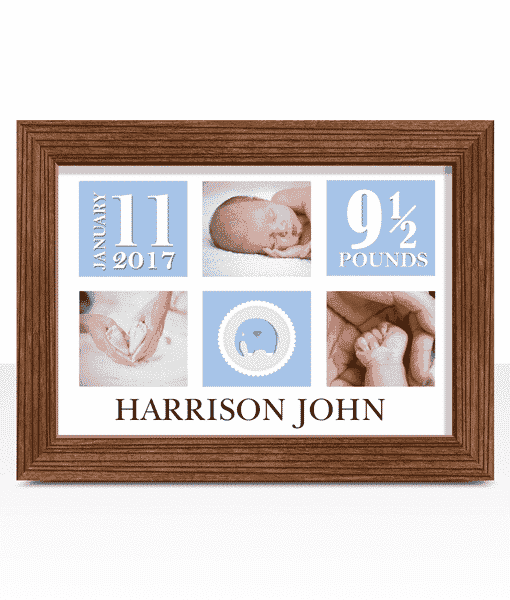 Add the baby’s birth date. 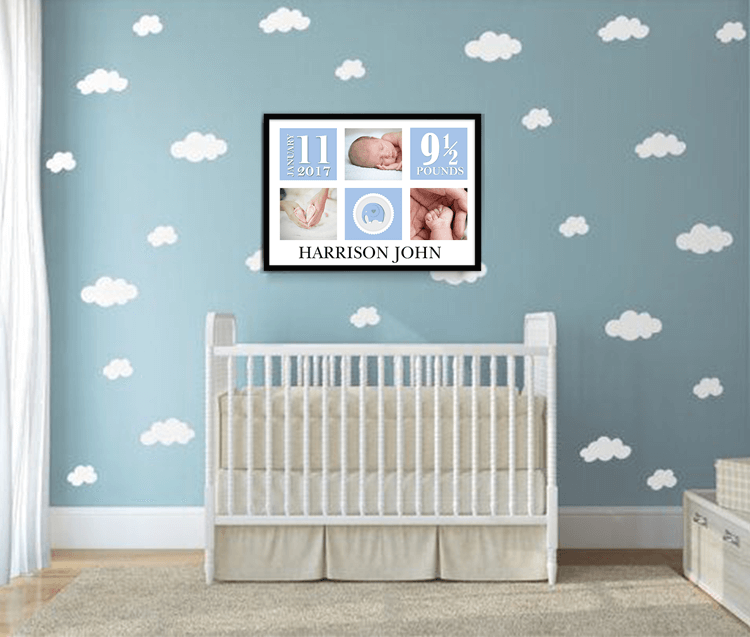 Add the baby’s birth weight. 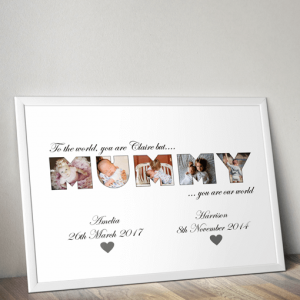 Add your own photos & text to create a Personalised Baby Boy Photo Print. 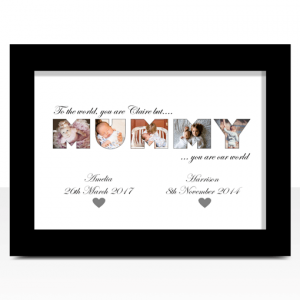 Will look great displayed in the family home particularly in the nursery or baby’s bedroom. 3. 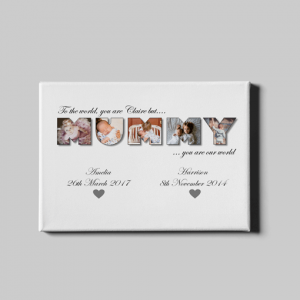 Add 3 photos to be included on your print. 4. Add the baby’s birth date. 5. Add the baby’s birth weight. 6. Add the baby’s Name. 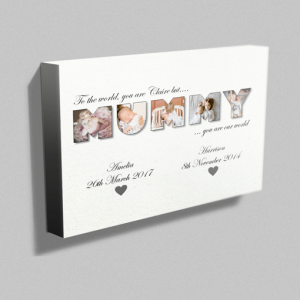 Create your own Personalised ‘MUMMY’ Photo Canvas to make a very special & unique gift for any mum.